Casino resort investor Landing International Development Ltd says the legislature of the City of Parañaque, in Metro Manila, has approved the group’s plan to develop and operate a casino resort at Entertainment City. “The Parañaque City Council has, among others, passed the resolution approving and granting the request of Landing Resorts Philippines Development Corp to operate a resort and a casino in the Entertainment City in Barangay Tambo, City of Parañaque, the Philippines,” the company said in a filing on Monday to the Hong Kong Stock Exchange. 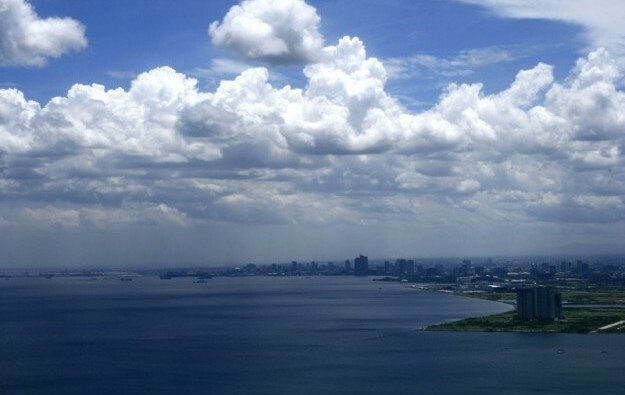 Landing International said its subsidiary had agreed to lease 9.5 hectares (23.5 acres) of land in Entertainment City, in the Manila Bay area (pictured). The parent company said the casino scheme features a planned construction floor area of approximately 500,000 square metres (5.38-million sq feet). The filing added that the project would include “among other” things, a “casino, a Filipino cultural theme park, an indoor water park, an indoor movie-based theme park, a convention centre, luxury hotels, retail and dining areas, and other commercial and entertainment facilities”. “The group is still in the process of applying for other approvals required to develop and operate the integrated resort, and these may or may not be granted,” added the company. Landing International’s chairman and executive director, Yang Zhihui, said in March – at a company event at the group’s new Jeju Shinhwa World casino resort in Jeju, South Korea – that the firm’s application for a gaming licence from the Philippine casino regulator, the Philippine Amusement and Gaming Corp (Pagcor), had been “under negotiation” since “last year”. The Philippines imposed on January 13 a nationwide pause on issuing further casino licences, after President Rodrigo Duterte raised concerns about the “proliferation” of gaming venues in the country. Commenting on Landing International’s announcement, Andrea Domingo, the head of Pagcor, told local media on Tuesday that the Hong Kong-listed company was advised to “secure a clearance” from the country’s President. “They have presented their project to the board last year and have formalised their application in March 2018. We informed them to secure clearance from the Office of the President, which they say they will comply,” said Ms Domingo, as quoted by local media outlet GMA News. In a separate press release issued on Tuesday, Landing International’s Mr Yang said the casino resort would be named “NayonLanding”, which he described as a recognition of the “rich culture and heritage of the Philippines landing in the Entertainment City”. “NayonLanding will be a family-oriented resort … and together with the existing casino resorts [at Entertainment City], namely Solaire Resort and Casino, City of Dreams Manila and Okada Manila, offers a wide range of leisure and entertainment facilities in the Entertainment City and enhances Manila’s reputation as a modern global city with rich heritage and culture,” said Mr Yang in the prepared statement. The Philippines is currently developing a 120-hectare area of reclaimed land close to Manila – known as Entertainment City – into a casino cluster, meant to emulate the success of Macau’s Cotai district. There are currently several large-scale casino properties at Entertainment City. The first property there, Solaire Resort and Casino, opened in 2013 and is owned by Bloomberry Resorts Corp. 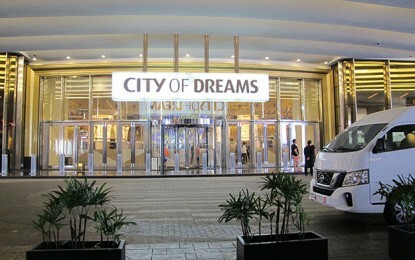 The second venue, City of Dreams Manila, had a soft opening in December 2014; the project is backed by the richest man in the Philippines, Henry Sy, and Macau-based gaming operator Melco Resorts and Entertainment Ltd.
Other licence holders are: Tiger Resort, Leisure and Entertainment Inc – a unit of Japanese conglomerate Universal Entertainment Corp – which operates the Okada Manila casino scheme, opened in December 2016; and Travellers International Hotel Group Inc – a venture between Alliance Global Group Inc and Genting Hong Kong Ltd – which is developing a casino resort project dubbed Westside City Resorts World.